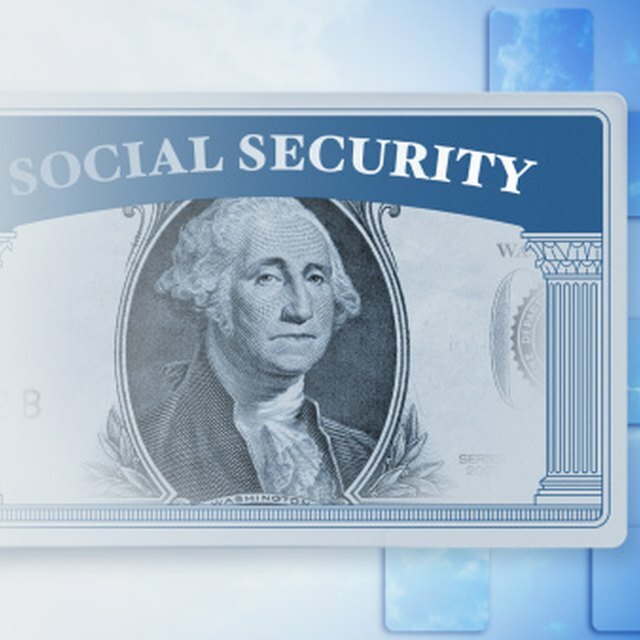 The U.S. Social Security Administration administers and provides benefit payments to eligible wage earners when they reach retirement age and disability benefits for citizens who become disabled. It also provides benefits for the dependent children of eligible workers who die, even if the death occurs before the worker reaches retirement age. These benefits decrease the hardship that accompanies the loss of one or both wage-earning parents. They help families meet living expenses, educational expenses for dependent children, and for surviving children attending secondary school. The unmarried children of workers who have paid into the Social Security system for at least 10 years are automatically eligible to receive survivor benefits when the worker dies. SSA also has a special rule that permits some payments to survivors when the wage earner has worked for at least 1-1/2 years during the three years prior dying. Adopted children of deceased workers are eligible for Social Security survivor benefits. SSA has special eligibility conditions for stepchildren of deceased workers. Dependent children can receive 75 percent of the benefit payment that the deceased parent would have been eligible for at full retirement age, according to the Social Security Administration's Survivors Planner. This amount depends on the amount the worker paid into Social Security and other factors. The earning record of the highest-earning parent, or primary beneficiary, is the basis for calculating the benefit amount that Social Security pays to a surviving orphan. The average benefit paid to surviving children of eligible wage earners in May 2011 was $755, with 1.9 million beneficiaries, according to the Social Security Administration’s Statistical Snapshot. This average includes payments as high as $1,775, calculated at 75 percent of the $2,366 maximum SSA retirement benefit payable as of 2011. The average also includes child survivor payments made at 75 percent of reduced payments calculated on the records of workers who elected early retirement. Once workers elect reduced payment options, SSA calculates payments to their child survivors using the benefit amount that they were receiving at death. Survivors of workers whose participation in federal, state and local government pension plans reduced their Social Security wages also receive reduced benefit payments. Who Qualifies for Social Security Funeral Benefits? How Long Does it Take to Receive Death Benefits? Other SSA benefit payment adjustments affect the national average as well. When a deceased worker leaves more than one dependent child, the maximum payments to the family cannot exceed 150 to 180 percent of the eligible worker’s retirement benefit. In these cases, Social Security reduces the individual payments for each child to keep the total payment within the guidelines. Payments to an adult survivor in the child’s household may result in reduced child survivor payments to keep family payments from exceeding the maximum. A family with more than two children will automatically require monthly benefit reductions to keep the total family payments below the maximum. SSA recalculates and increases benefit payments for remaining children in a household when eligible survivors reach the maximum age and stop receiving payments. SSA pays survivor benefits for orphans to the legal guardian of dependent children who have not reached age 18, or age 19 when attending secondary school full-time. Disabled dependent children receive survivor benefits regardless of their age, if the disability occurred before age 16 and they meet specific eligibility requirements. Dependent children whose grandparents are their legal guardians are eligible to receive survivor benefits from the grandparents' Social Security accounts when guardian grandparents die. Social Security Online: Survivors Planner: How Much Would Your Survivors Receive? Carol Luther has published feature articles in print magazines, ghostwritten blogs, and produced digital content since 2007. She has published personal finance and small business articles for the Houston Chronicle, Mahalo, the Nest, USA Today, Wahm, and Zacks. Carol has designed, implemented and managed multi-year, multimillion-dollar domestic and international projects services for higher education, nonprofits, and small to medium businesses for more than 20 years.